The prevalence and impact of personal and family challenges, such as health and mental health problems, among current and former welfare recipients. 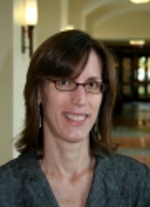 Kristin also has examined how social welfare programs and policies get implemented and are delivered. In this work, she has examined employment and training programs, state welfare systems, and most recently, programs serving ex-offenders.